Workers are the building blocks of the society as they convert the blocks of sand and rock into huge houses, or companies or the buildings, not only these but workers also consist of the people doing any type of work whether it is building anything, or working in any building and engaged in any type of work. Countries around the globe do search for the workers in order to utilize their skill for the development of the country. Australia one of the world leading countries in the education and employment rate is throwing a lot of new opportunities to people to migrate to Australia and work there, giving a quite reasonable price in exchange for it and providing other benefits too such as Medical facilities, Transportation and a lot more. 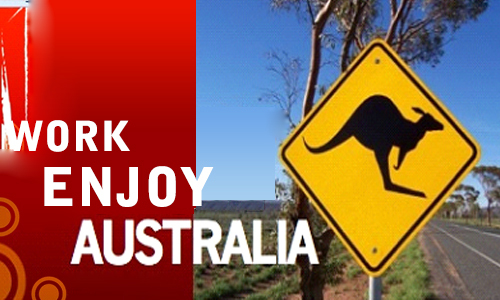 Around more than 10,000 of workers immigrate to Australia every year from all around the globe. There are a lot of new companies, hotels, restaurants and education centers evolving in Australia but not enough workforces. Therefore, the Australian government has decided to invite people from other countries and start working there. The basic need to apply for immigration to Australia is the passing of anyone of the three allowed English Language tests such as International English Language Testing Service (IELTS), Pearson’s Test of English or TOEFL. At first the Department of Immigration and Border Protection, Australia will review the deserving migrants and after investigating it they take the decision to relax entry requirements for the workers who qualify on their needs and are deserving to be a part of it. So nowadays the Australia has near to none strictness for the immigration of the workers that are deserving, so hurry up and read the requirements for the documents needed to apply for the Immigration and if you fit on that then you will qualify for the immigration and can easily get to stay there with all the facilities as mentioned above and a lot more to be announced. Next Post:Want to become a Canadian Permanent Resident? Read to Find out how! MoreVisas Consultant makes it easier for immigrants by sharing the information.Thanks you. I am interested to work in Australia, so please contact me through my email id for more details. Should i need to qualify the English test for an Australian visa? I’m not that much of an internet reader, to be honest but your sites really nice, keep it up! thanks a lot to morevisas immigration consultancy employees. I think I am a lucky person because i got my visa within a short span of time without any struggles. Amazing issues here. I’m very glad to see your article. Thank you so much and I’m looking forward to touching you. good work opportunities in Australia. Some extremely valid points! I appreciate you writing this write-up plus the rest of the website is also very good.